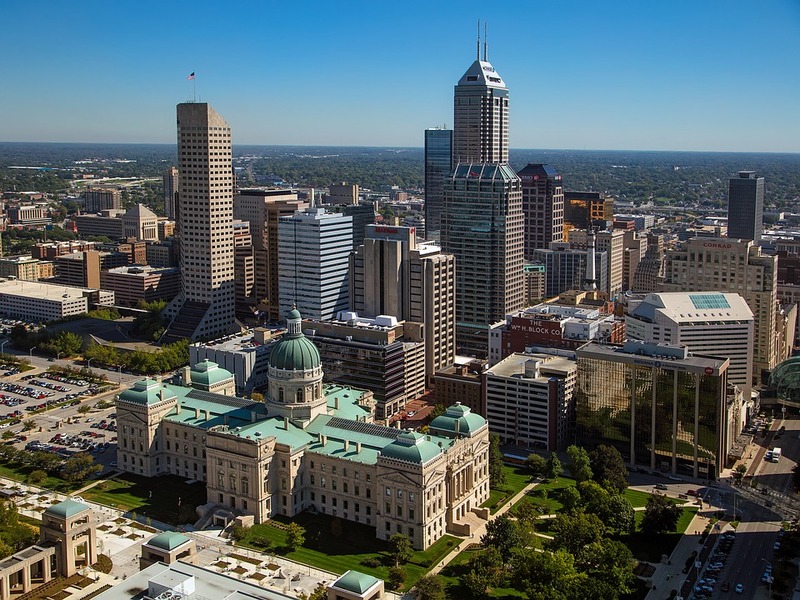 Indianapolis is the capital of Indiana and is the United States’ twelfth biggest city. It’s located in Marion County, covers an area of 1,043 sq. km, and has a population of 813,670. Its neighborhoods include Woodruff Place, Lockerbie Square, Herron-Morton, University Heights, Fountain Square, and Old North-side. Indianapolis, like many cities in the U.S. is facing a serious opioid epidemic and it’s not confined to a particular group of people. It has pervaded all age groups, ethnicities, income brackets and genders. Opioid abuse disorder is a disease, but a treatable one. Recovery is achievable with commitment and the right care. You can get this at many of the treatment centers close to Indianapolis. If you live in Indianapolis, and have fallen victim to substance abuse don’t hesitate to seek treatment. There are enormous resources in at your disposal. Although alcohol continues to be the most abused substance in the U.S., opioid use has been rising alarmingly. Abuse of substances such as heroin, fentanyl, and prescription pain pills has led to a steep rise in overdose deaths and admissions to addiction treatment centers for these substances. Nationally, the overdose death rate attributed to fentanyl and other synthetic opioids, increased from 3.1 to 6.2 for every 100,000 people in the period from 2015 to 2016. Similarly, overdose deaths grew in Indianapolis and other Indiana cities. The National Center for Health Statistics reports that drug overdose deaths are rising more rapidly in Indiana than anywhere else in the United States. According to a study, Indiana was placed fourteenth in national drug abuse statistics, ninth for opioid painkiller use, and sixth for drug-induced crimes committed by college students. Indiana’s Department of Health noted that drug overdose deaths rose from 1,152 to 1,518 between 2014 and 2016. The deaths attributed to opioid painkillers including fentanyl, rose from 250 to 488 and those due to heroin, from 170 to 296. By 2016, the main drug overdose deaths were being registered in the 25 to 34 age group. Between May 2016 and May 2017, there was a 28.6 percent increase in overdose deaths in Indiana compared to the national rate of 17 percent. Indiana’s Department of Health also noted that non-death related overdose visits to the ER rose from 10,721 in 2009 to 17,138 in 2015. Heroin featured in many of the cases. 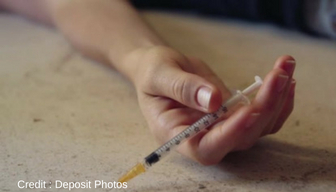 Indiana’s state hospitals are coping with a record 400 overdose associated visits per week. According to data from the Coroner’s Office, in 2016 alone, there were 345 overdose deaths in Marion County. Of these, 277 deaths were from opioid poisoning. The figures have been rising steadily since 2010. From May to July 2017, there were 130 such deaths in Marion County—a big jump from the 98 deaths recorded during the same period in 2016. Deaths due to fentanyl a potent opioid that is often spiked with heroin are said to have increased twofold during this timeframe. Deaths due to benzodiazepines also increased. In early 2018, there were 25 reported overdose cases in just 24 hours in an area of East Market Street in Indianapolis. Many of those affected came from a homeless shelter. Police seized amounts of a synthetic opioid called “flakka” which resembles bath salts and was believed to have been mixed with other substances. Drug overdose deaths would be higher in Marion County if it were not for Naloxone, the medication that reverses the deadly effects of an overdose. It’s now regularly provided to officers of the Indianapolis Metropolitan Police Department, and it has successfully reversed the overdose effects of heroin, and prescription meds such as Vicodin, Methadone, Percocet and OxyContin. Naloxone is non-addictive, and it may serve as a wakeup call for those who receive it. Studies have shown that a mere 15 percent of naloxone clients take it more than once. Naloxone accessibility is growing because of the Good Samaritan Laws. These ensure that those who administer it during an overdose crisis will not face prosecution. Law enforcers regularly make seizures of heroin. But they are increasingly finding fentanyl and its analogues such as carfentanil, in the drugs they seize. Carfentanil is said to have 100 times the strength of fentanyl. It’s also been noted that to escape police detection, drug dealers regularly spike candies with drugs and pass them off as normal confectionaries. In November 2017, following the example set by New York City, Chicago, Oklahoma, Delaware Philadelphia and other entities—Indianapolis embarked on legal action against a number of opioid makers and traders whom it accused of fueling the city’s growing opioid surge. The abuse of opioids results in dopamine being released into the pleasure center of the brain. Your level of addiction depends on the speed with which your drug of choice activates the release of this dopamine, and the strength and consistency of the release. It also depends on the method you use to ingest the drug. If it’s injected intravenously or smoked, rather than swallowed as a pill, it’s likely to produce a quicker, more powerful dopamine release. But this is also more likely to lead to chronic addiction or overdose. Slowed ways of thinking, learning, and reacting. What are the main opioids abused? These may be legally prescribed by doctors for moderate to chronic pain. However, they may have terrible side effects, including death, if taken in excess, or if they’re wrongly administered or obtained. Commonly abused prescription opioids are morphine, methadone, oxycodone (OxyContin), and hydrocodone (Vicodin). It is a synthetic opioid that’s several times more potent than many opioids, heroin included. It’s legally prescribed for chronic pain such as progressed cancer pain. A deadly fentanyl dose can be just a fraction of a deadly heroin dose. Fentanyl is increasingly being manufactured and distributed illegally. Much of it has heroin added to it without the buyer’s knowledge. This makes an overdose all the more likely. This is an illicit and unregulated opioid whose use has spread among all ages, genders, races and income levels. Three in four new users admit to having been addicted to prescription pills, and to moving on to heroin when their pills became difficult to access. Heroin is cheaper and readily accessible on the streets. Do you live in Indianapolis? Are you fighting a drug or alcohol disorder? Are you afraid to seek help because of those harsh withdrawal symptoms or uncontrollable cravings you’ve heard so much about? Well you can rest-assured. Reputable treatment centers near Indianapolis will ease you through your recovery process in a safe and professional environment. Here is some useful information to help you make the right choices. The first step would typically be a medical detox to rinse your body of the toxic elements you’ve been addicted to. Next is rehab where you’ll receive help in tackling the problems that fed your addiction. You’ll receive the necessary skills and support to help you remain sober long after your rehab treatment is over. The medical detox typically takes place at a hospital, or a treatment center with a clinical set up. Some facilities offer no more than the detox. So you’d have to do your rehab at another facility. It would be convenient to look for a facility that offers all levels of treatment in one place. What are the signs of a good treatment center? On your first day at any treatment center, you will go through an assessment process conducted by trained medical personnel. Typically you’ll complete a questionnaire giving details of your addiction history, your co-occurring conditions—if any—and aspects of your work and home life. You’ll likely be tested to determine the level, nature and duration of the substances you’ve been abusing. According to government statistics, about two-thirds of drug addicts also abuse alcohol. Once they have all the information they need, treatment experts will use it to work out an exclusive treatment plan for you. Medical detox is the first stage in addiction treatment. It’s the normal procedure for hardened, long-term substance abusers. Heavy drinkers and opioid abusers almost always go through it. As well as those addicted to cocaine, meth and benzodiazepines. Your evaluation will determine whether you need it. The detox rinses the drugs or alcohol from your system and stabilizers it in preparation for the rehab that must follow. How long your detox lasts depends on how heavy your addiction was. So it could take a few days, or go on for two weeks or more. Throughout the detox process, you are monitored regularly by trained staff to ensure that any hiccups are dealt with safely. If you’re detoxing form opioids, you may be given medication or other means of therapy to help you cope with the sometimes deadly withdrawal symptoms and cravings which happen when you suddenly stop taking your substance. You may experience seizures, or significant body decline, or you may start lashing out violently, thus becoming a danger to yourself and others. That’s why it’s never a good idea to detox alone, at home, without access to professional staff. Is it necessary to go beyond detox? Detox is only the primary stage in treatment. It clears the substances from your body but it doesn’t stop your cravings. If you stop your treatment with the detox, your cravings will plague you when you’re alone and when you’re under stress. Studies have shown that those who skip the remaining elements of treatment tend to relapse in no time at all. So rehab should naturally follow the detox. It will teach you techniques for controlling your urges and managing your stressors. It could take a while to apply these techniques effectively. In time, your cravings will become less intense and frequent. You won’t get rid of them completely but every time they hit you outside of the treatment center, you will know how to deal with them. Should I go for inpatient or outpatient rehab? If your addiction is severe or has been going on for a while, inpatient rehab is perfect for you. Opioid addiction is one of the most chronic types of addiction and opioid cravings are difficult to overcome when you remain in your addictive environment. Inpatient rehab takes you away from unwelcome influences and enables you to concentrate fully on your recovery. Outpatient rehab is for those with not-so-severe addiction. They don’t live at the facility but visit it in accordance with their treatment schedule. This option is also ideal for those who’ve finished inpatient rehab and want to tie up loose ends before returning to their old lives. What does inpatient rehab typically offer? Group counseling where you get the chance to interact with your peers and shore up the endurance and endeavor that recovery requires. Family therapy to help heal the wounds caused by your addiction. Recovery is easier when your family buy into it. Diagnosis and treatment of any other disorders that could be heightening your addiction. Studies have shown that this integrative approach has the greatest level of success. How long should I stay in residential rehab? Some stays are as short as a month. However, studies have shown that a month is often not enough to get the full benefits of inpatient treatment. You reap the most rewards when you go on for three or six months, or even twelve months and beyond. The most important part of treatment is learning how to control your cravings in order to prevent a relapse. This takes time to accomplish. If you’re a heroin addict, for instance, and you spend just a month in treatment, can you be sure that the next time you encounter an intravenous syringe you’ll be able to control your urge to grab it and start using again? CBT is the acronym for Cognitive Behavioral Therapy and it’s a crucial part of many inpatient and outpatient programs. It focuses on what people are thinking and feeling and how this influences their actions. So CBT helps clients understand what psychological factors caused them to give in to their cravings. What are the similarities between inpatient and outpatient rehab? Both rehab types are integrative, and have the same major objectives which are to halt drug or alcohol use in the long-term, and prevent a relapse. They are both big on family, group and behavioral therapy. They also favor individualized recovery plans and continuity procedures to help you adjust to normal life without relapsing, once your treatment is over. Even though it focuses on less chronic cases than inpatient care, the outpatient program is by no means an inferior type of rehab. It too has some great success stories. How does outpatient care differ from inpatient care? In outpatient care you do not move into the treatment center. Instead you stay at home or a sober living house, and visit the center at given times. The most successful outpatient cases are those with a strong home environment. Since you’re living at home, you’re not entirely free from the influences that fuelled your addiction. So strong family support is needed to help you stay accountable and on track. Outpatient care is cheaper, involves fewer hours of attendance, and is normally covered by insurance. The outpatient program is a great standalone choice for those who have less chronic addiction. Inpatient rehab would be the first option for those with severe addiction. What are the different levels of outpatient treatment? There’s ordinary outpatient care for minor addiction. You attend work or school as usual but visit the facility a few times a week during your spare time. It’s ideal for you if you need to continue with your responsibilities during treatment. Then there’s the intensive outpatient program (IOP) where you attend a few more times during the week. You have access to clinical care and your program is more intense. And there’s the Partial Hospitalization Program (PHP) where you attend all day long, only going home at night. It’s the most intense of the three programs. It involves medical supervision. IOP and PHP are ideal for people coming out of inpatient rehab who feel they need more support before they return fully to their old lives. Aftercare is the process by which your treatment facility prepares you for a life of continued sobriety after you’ve left the center. The process should enable you to build on the essential life skills you learned in rehab once you’re back home. You need constant support in doing this. Remaining sober for the long-term is a constant challenge and you need people you can confide in, and draw strength from during difficult times. So, long before you leave, most centers will introduce you to support groups such as Narcotics Anonymous (NA) or Alcoholics Anonymous (AA). If you complete your treatment successfully, they may allow you to join their alumni program where they hold regular meetings to discuss clients’ quests to remain sober, and to provide other support, including helping people find suitable housing or jobs. Sober living homes are also part of the aftercare program. They offer you another opportunity to strengthen your recovery before you return to your old life. They are run by those of your peers who’ve been clean for a while and who offer all kinds of support. Although the rules are more lax, you’re expected to remain sober, and help with chores. You may commute to IOP or PHP sessions from here. It’s a great way to consolidate your recovery.